For as long as people have been able to cook, they have used smoke. It originated out of necessity, back before traditional ovens were invented, but cooking smoked food has withstood the test of time; likely because there is nothing else quite like it. Smoked sausage, arguably one of the most delicious smoked foods, is no exception to this rule. Sausages can be smoked to both increase its shelf-life and its flavor. Now, charcoal and gas grills make great food as well but there’s nothing that beats a wood pellet smoker when it comes to making sausages! The invention of freezers and refrigerators has transformed this once common practice into a rare but well-appreciated art form. You can use smoked sausages in stews, soups or just by themselves with some bread or crackers. 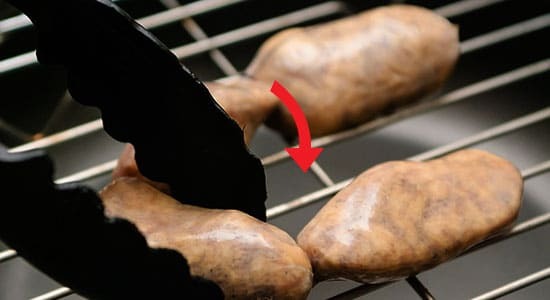 Even though smoked sausages are easily available in most grocery stores, the process by which this delicious method is executed is not well-known. 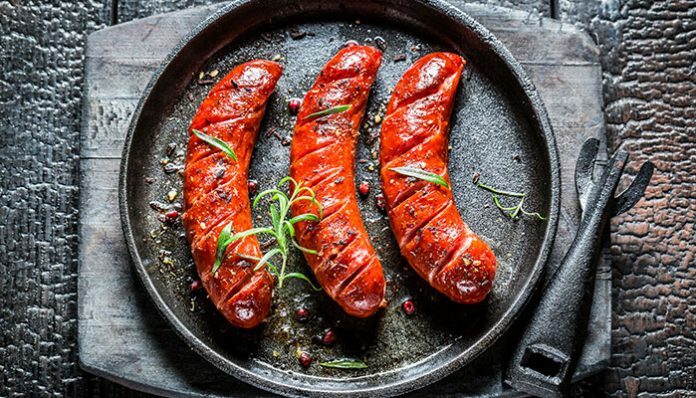 But by following these simple steps, both amateur and professional cooks alike can create smoked sausages that surpass even the best store-bought brands. Also, feel free to experiment with flavors once you have the process down because Grills Forever has got your back! This step is essential one that is often overlooked when people are learning how to smoke sausages properly. If you’re looking to add a light taste to your meat, then your best bet is to smoke your sausages with fruitwood from 3 to 4 hours. However, if a strong smoke flavor is what you desire, it’s best to smoke your meat with hickory or mesquite wood for about 3 hours. 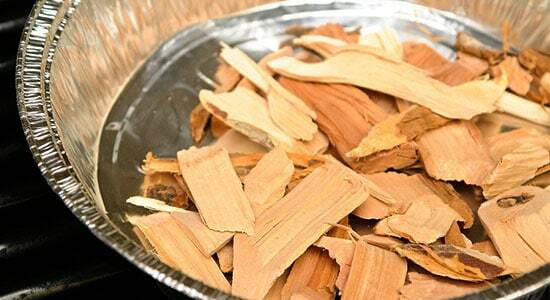 That’s why it is important that you’re well familiar with all types of wood for smoking. When you are learning how to smoke sausage, you need to ensure that you have a good quality smokehouse. You can pay someone to make one but it’s a simple structure that even a novice carpenter can make. It is a small structure that’s often made of wood and can be placed anywhere in the yard. The trick is, since the smokehouse itself is made of wood, you need to make a non-flammable pad below it (we recommend a simple gravel pad underneath) and an opening so the smokehouse is well-ventilated. If you’re not confident in your carpentry skills or uncomfortable with the idea of a homemade smokehouse than you can always purchase one from a sporting goods store or anywhere that sells specialty kitchenware. You can place any kind of meat onto the metal rack inside of the smokehouse, including sausages and bacon, for as long as you need to. 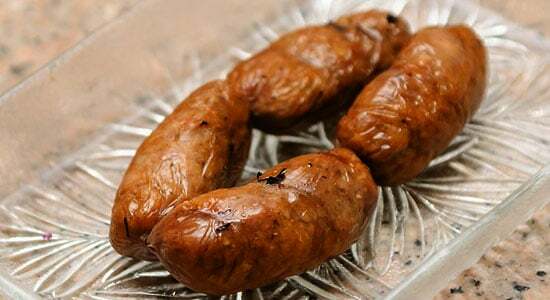 When you are learning how to smoke sausage, it is crucial to follow this step because ground meat always carries the risk of being contaminated by bacteria which can result in nasty food-borne illnesses. This will ensure that your sausages (or other meat) will be cooked the way that you want as well as killing the harmful bacteria in the process. You need to ensure that there is at least an inch of space between each of the sausages. This allows the smoke to make contact with all of the surfaces evenly. This way, color and taste can be evenly distributed, resulting in the best possible end product. What type of sausage you want to cook is entirely dependent on your preference and the occasion. Breakfast sausage, sausage patties, smoked sausage on a bun, and summer sausages are some of most popular foods that people cook in their smokehouses. When making homemade sausages, you need to cure the meat in order to reduce the risk of botulism. Botulism is a dangerous bacteria that grows on improperly prepared sausages and can result in food poisoning. For every 10 pounds of meat, it’s recommended that you add 2 teaspoons of cure. You can easily find cure from grocery stores, online, or from specialized butchers’ shops. Whenever you are purchasing sausages from stores, ensure that you are purchasing certified meat that has been cured and is safe to use. 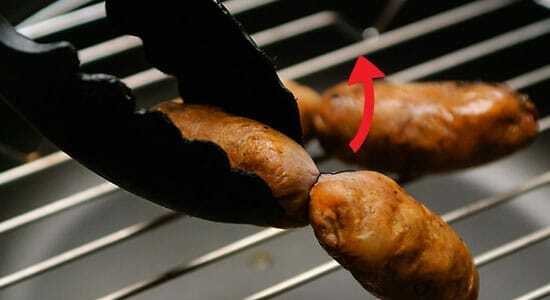 When you smoke sausages at too high of a temperature, it causes the fat within the sausages to melt down. This dries out the sausages and makes them tasteless, dry and bland. 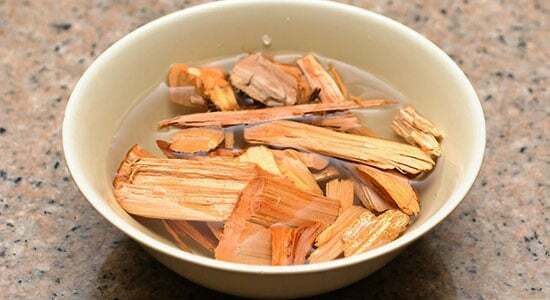 To maintain the proper temperature during the smoking process, you need to keep replacing the wood chips in the pan at 90 minute intervals. When you are learning how to smoke sausages, be sure to regularly check the internal temperature of the meat and the grill but always use caution so you don’t burn yourself. 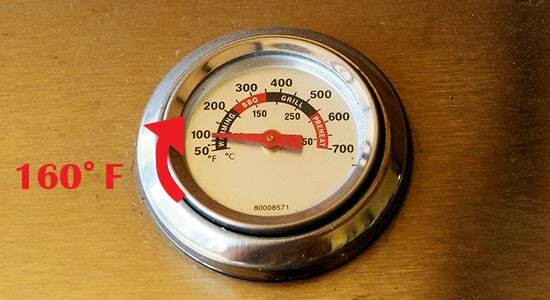 A simple cooking thermometer will suffice for an accurate reading. When the internal temperature reaches 152 degrees Fahrenheit, you can remove the sausages from the smokehouse. At this temperature, each sausage should have a deep brown complexion that is evenly distributed throughout. Once you are done with smoking the sausages in a healthy way, you need to cool them down in order to prevent them from shrinking and shriveling. 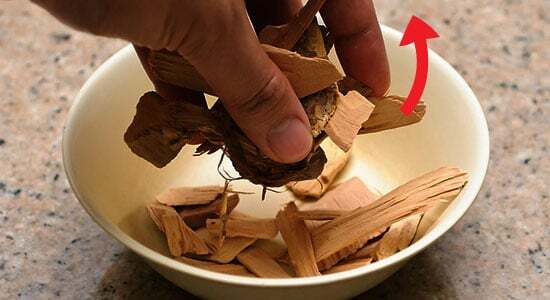 Place one or a small quantity into a bowl of water that’s preferably cold. You can also pour cold water over a larger quantity of sausages if you prefer. Make sure you allow the smoked sausages to air dry for 2 to 3 hours when you remove them from the water. After they are done air drying, you need to wrap the smoked sausage in wax paper. You can keep them in the refrigerator for 3 to 4 days. However, to store the smoked sausages for a longer period of time, you have to pack them in a vacuum-sealed container and freeze them. This can keep them good for up to 9 months! Properly cooked smoked sausage cannot be rushed. Don’t try to pull them out too early because that will increase your chance of getting food poisoning. Also, don’t crank the heat up too high or they won’t taste as good. For the beginners, it’s best to start with smaller batches to get the hang of smoking meats and you can work up to larger batches when you are more comfortable. Avoid uncured meat unless you are planning on curing it yourself. Don’t rush the process (seriously I can’t stress this enough!) and don’t skip steps. Learning how to smoke sausage is an art form in and of itself. With a bit of practice, you can host a party and surprise your guests with some of the best tasting fresh smoked meat they’ll ever have! It may have seemed difficult before, but if you follow these simple steps than smoking meat should be a breeze. Previous article6 Major Types of Grills: Which One Do You Want? Next articleHow to Add Smoke to a Gas Grill: Did You At Least Try? I gotta favorite this website it seems invaluable. Haha alright. Keep us in your favorite list forever. Yes we published some new items. Please go through them and let us know how you feel about them. Great to know how you liked our posts! Hard work really paid off! Hi 5 to you and your brother! and energy to put this informative article together. I once again find myself spending way too much time both reading and commenting. a blogger, and I was wondering your situation; many of us have developed some nice procedures and we are looking to trade methods with other folks, please shoot me an e-mail if interested. Our security system is pretty much strong. But spam is always an issue, you can use special tool for that. There are lot more in the new releases, did you get a chance to have a look on them? Waiting for your feedback. to aask but do you fokks have any ideea where to get some professional writers? Thanks for finally writing about >Step by Step Guide on How to Smoke Sausage | Grills Forever <Liked it! coding but I had been hoping to start my own blog soon. Anyhow, if you have any recommendations or techniques for new blog owners please share. Your web site offered us with valuable info to work on. You have performed a formidable job and our entire neighborhood shall be grateful to you.